Art at the CMA isn’t just behind glass doors — you can find sculptures, paintings, and brand new installations throughout our public spaces. 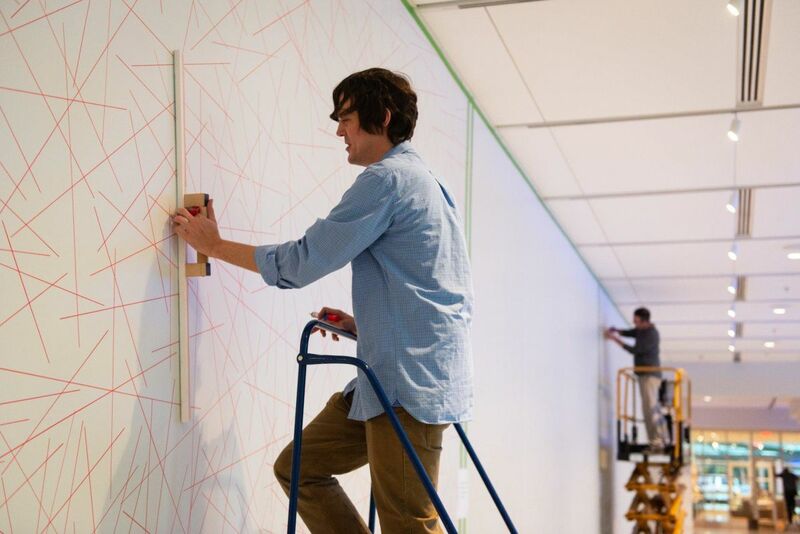 Join Exhibition Designer/Preparator Mike Dwyer and Preparator Daniel Richardson as they give us an inside look at how these pieces are installed, whether by drawing 10,000 lines or lifting an 1,800-pound work of art one story above the ground. Focal Points is a series of gallery talks featuring topics and themes near and dear to the hearts of the staff and tour guides.